When you were a kid, Halloween was exciting and refreshing. The costumes were fun, and the haunted houses were scary. However, as an adult, you are no longer scared of the same old haunted house as you were as a kid. Skimpy dresses, shirtless men, if you’re a true fan of this haunted holiday, then take advantage of these five places where the spirit of Halloween never dies. All you need to know is the right place to go. Here’s a look at five surprisingly awesome Halloween parties. This party is better than the run-of-the-mill collection of fake blood and plastic skeletons. The steampunk theme is creepy by itself, but this party takes the creep factor one step further. The party is based on the freaky sequel, Through the Looking Glass, of Alice’s Adventure in Wonderland. This haunted house party is set up in a century-old playhouse with the wonderland theme. The party focuses on the dark side of Alice’s adventures. You’ll start the tour only to find yourself lost in the house soon after. This party takes place in an old ocean liner called Queen Mary, which had been converted into a hotel. The current owners of Queen Mary converted the ship into a giant Halloween facility for a party called the Dark Harbor. The event features 160 monsters and two onshore and three onboard mazes—among other things. To keep partygoers guessing, the function changes the script every year. This festival started as a costume contest and free dance in 1978. It quickly evolved into a larger gathering and reached its peak in the ‘90s. The students at USU organize for DJs, bands, and other fun activities. Full disclosure: scantily dressed women, and shirtless men are a famous sight at this college event. For a more family-friendly event, the Halloween Hullabaloo at Centerra features activities for all the ages. Its operations never grow old. The events include activities such as pumpkin bowling, crafts, trunk-n-treat, hay maze, and a costume contest. The activities are free, interactive, and meant to accommodate the whole family. You may not consider the white house as your best place to go for a party, but it’s one of the best places to host an event. It has all the facilities you need for a Halloween party. There is a ballroom, a movie theatre, a basketball court, a swimming pool, a hot tub and plenty of bedrooms. These celebrations are observed annually on Halloween. 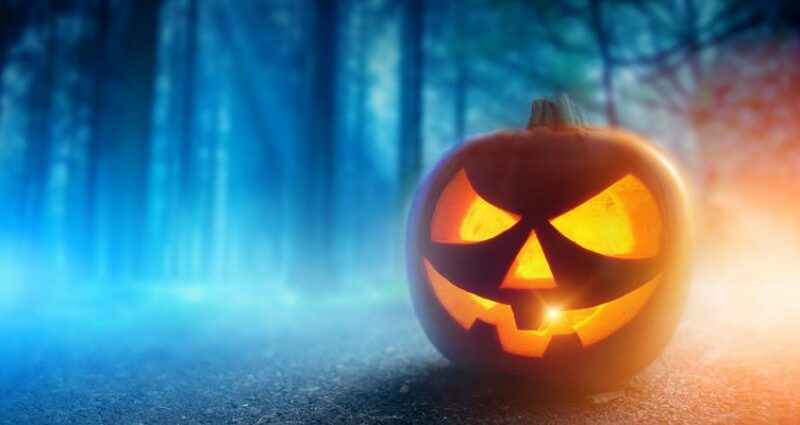 Attend one of these events and enjoy the Halloween celebrations. But if you can’t attend one of these awesome events, use them as inspiration for planning a Halloween-themed bash.